From M1 - J14 at the first roundabout take 2nd exit (straight on) onto Childs Way H6, at the next roundabout take first exit onto Tongwell Street V11, just by the garage. Continue along Tongwell Street V11, straight over 2 roundabouts, Tesco Extra, Kingston should be on your left hand side. Still on Tongwell Street continue until LoknStore is on your left hand side, take the first left into Brinklow and first left again onto Etheridge Avenue. Lok'nStore is halfway down the road on the left hand side next door to the Royal Mail sorting office. Alternatively from M1 - J13 take the A421 towards Milton Keynes. River Island and the John Lewis Distribution Centre will be on your right hand side. Straight over the roundabout continuing on the A421. At the next roundabout take the 3rd exit onto Standing Way, H8 (A421). Brinklow is on the left hand side. Take the second left into Brinklow past the Waitrose Warehouse. Lok'nStore is half way up Etheridge Avenue on the right hand side, next door to the Royal Mail sorting office. If you're looking for secure self storage, look no further than Lok'nStore at Etheridge Avenue, Brinklow. 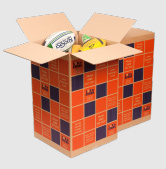 We guarantee that you won't get a better storage deal anywhere else in the local area. We check the costs of similar types of self storage in and around Milton Keynes regularly and then we set our prices below everyone else’s – we are the cheapest in Bedfordshire. Lok’nStore Milton Keynes opened its doors to customers in April 2001 and quickly become the area's favourite storage centre. This modern facility is set over three floors with 650 private storage units and rooms ranging in size from small lockers to massive 800 sqft units. What does storage at Lok'nStore Milton Keynes cost? Lok’nStore storage prices vary depending on the length of your stay (from just one day, to as long as you want), payment terms, size of storage unit or room and also when you book. You can check our prices on this website by clicking on the green ‘Get a price’ button. All prices at Lok’nStore include VAT. Lok’nStore in Milton Keynes also has modern office space available to rent and let at exceptionally low costs – with no long term contracts, rates or utilities to pay. 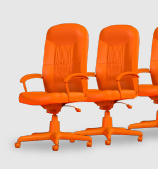 Please visit our office space page for more information - or call the centre manager. 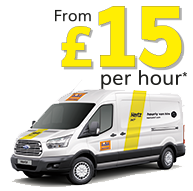 Also serving customers in: Bedfordshire, Buckinghamshire, Ampthill, Bletchley, Leighton Buzzard, Woburn Sands and any MK postcode. 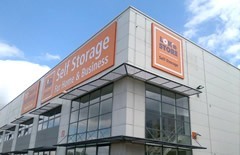 Lok'nStore has storage centres in other locations, the closest being Luton or Northampton.